Inspired by millennia of artistic legacy, the new Designo MX Series sports an elegant and precision-crafted sundial design. 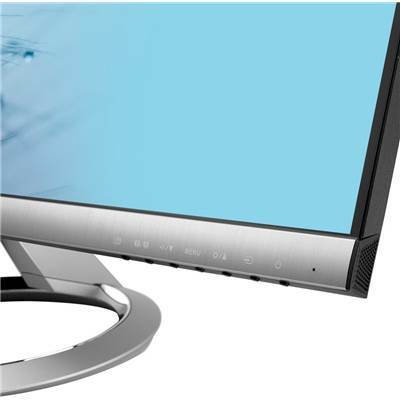 The MX259H features an edge-to-edge frameless panel with 178° ultra-wide viewing angle AH-IPS A+ technology for incredible visuals. In addition, built-in ASUS SonicMaster technology, co-developed with Bang & Olufsen ICEpower, delivers immersive premium audio performance. 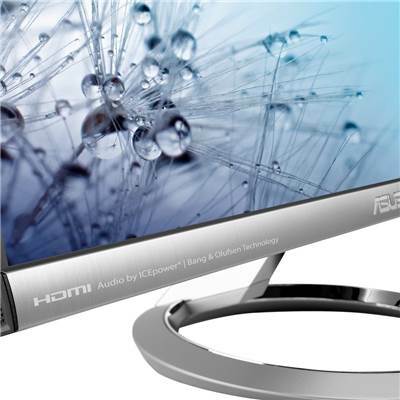 The 2012 Good Design Award-winning ultra-slim and ergonomic design can be tilted to provide you highly comfortable viewing experiences, while dual HDMI offers extensive connectivity options. 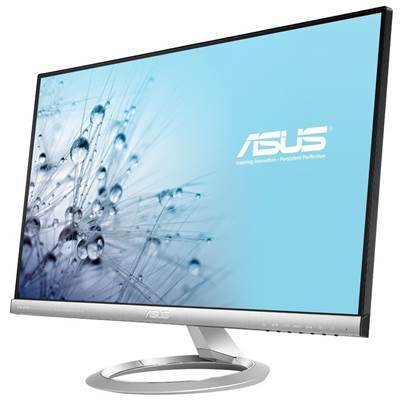 ASUS Designo MX Series displays sport ultra-slim profiles - with MX259H measuring just 15mm at its thinnest point - thereby minimizing desk space requirements. In addition, the MX Series presents an edge-to-edge frameless screen with bezel thickness of just 0.8mm. 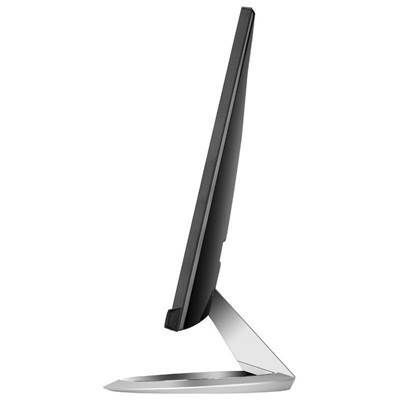 This subtle but elegant design is further accentuated by a sundial-inspired stand which provides a sturdy base for the monitor. MX Series design has already garnered accolades at the 2012 Good Design Awards. Designo MX259H features a 16:9 aspect ratio LED-backlit AH-IPS A+ panel with a 178° wide-view angle that minimizes color shift on both horizontal and vertical planes to ensure quality visuals from almost any direction. AH-IPS is the latest in IPS technology - delivering improved color accuracy plus increased energy efficiency. MX259H provides Eye Care features - Flicker-free and Low Blue Light that prevent your eyes from fatigue and strain and many possible eye symptoms that caused by screen flicker and hazard blue light. MX259H has undergone stringent performance tests and is certified Flicker-free and Low Blue Light by TÜV Rheinland laboratories, a global provider of technical, safety, and certification services. The Designo MX259H features ASUS SonicMaster technology - which was co-developed by the ASUS Golden Ear team and Bang & Olufsen ICEpower. 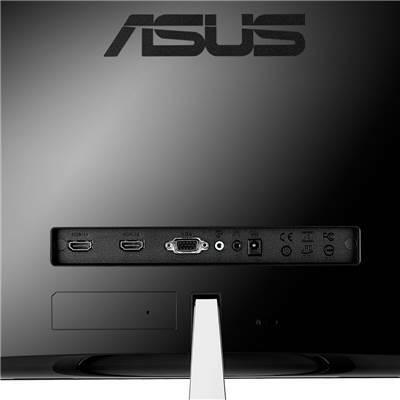 This ASUS-exclusive audio technology combines advanced hardware and software to refine every acoustic detail in pristine quality to deliver crystal clear, true-to-life surround sound - reproducing richer and more distinct vocals at a wider frequency range and louder volumes. Considering its slender form factor, adding powerful audio to MX259H presented a challenge. Nonetheless, the display features up to 32mm diameter speakers for greater and smoother sound impact with better bass performance. 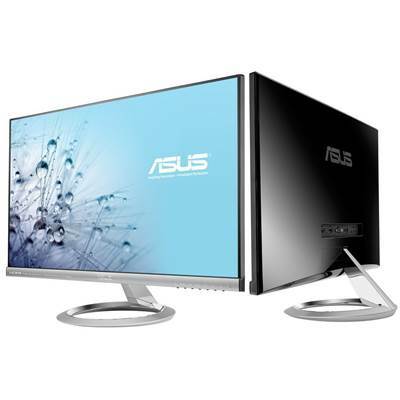 It also offers a resonance chamber of up to 100cc, expanding monitor sound range to new extremes. A built-in amplifier powers speaker sound reproduction, just like a car engine with more horsepower means better performance can be attained. MX259H uses up to 5W amplifiers per channel, with speakers embedding large rare earth magnets to generate more powerful and striking sound. 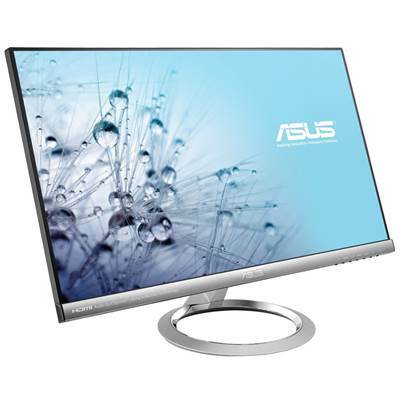 ASUS MX259H delivers outstanding images and stunning graphics that deserve superior sound to complete multimedia experiences whether watching movies, gaming, or listening to music. It features state-of-the-art audio technology from Bang & Olufsen ICEpower, with great sound packed into its slim form factor to create incredibly engaging sound quality. This means no investment in additional speakers is needed. Bang & Olufsen ICEpower technology on MX259H has been developed specifically for compact media products to create excellent sound even in confined spaces. The superior sound quality is a result of innovative technology, ample power delivery, and months of optimizing and fine-tuning by audio engineers. Typically, powerful sound equals high energy consumption, but that's not the case with MX259H. The screen's embedded Class D MobileSound 3 technology is highly energy efficient, converting up to 92 % of power input to useful audio output.